Clearwater Beach is an excellent place for a family vacation. You want to get a place right on the beach and stay for several days. You can walk or take a short drive to places to eat and there is a big park/playground right on the beach that's great for the kids. The Cafe' has open-air seating on a very inviting, fun, brightly colored front deck. These picnic tables are adorable and we decided this is what we want when we build our own home. Sitting on the patio, you won't have a view and you will have some loud traffic and possibly construction. In Summer '11, we experienced a lot of construction noises. Foods served at the Beach Shanty Cafe' include bacon, sausage, corned beef hash, pancakes, waffles, French toast, bagel and cereal. They also have Egg-wiches ($3.50) and Egg-ritos ($4.00) which sounded very good. The omelettes come in some very interesting flavors including Cheese Steak and Greek. The Beach Shanty also serves lunch – burgers, dogs, wraps. 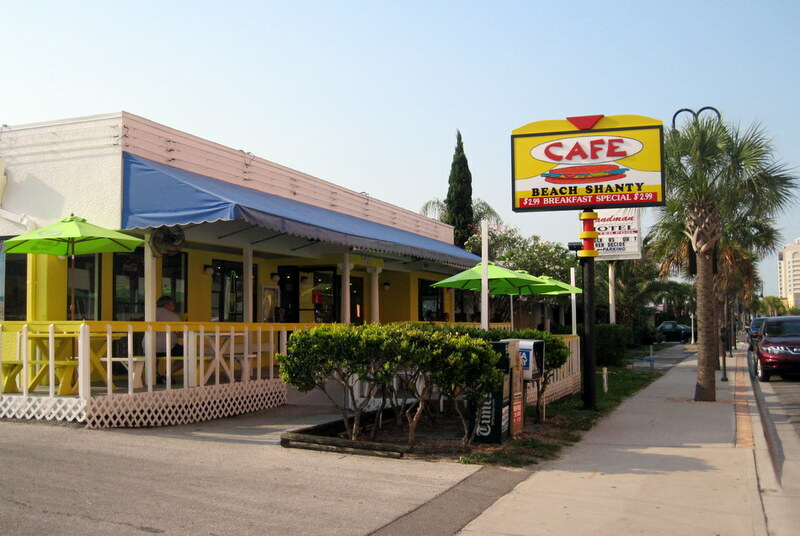 If you visit Clearwater, eat a breakfast at The Beach Shanty, I think you'll enjoy it. Also? Don't forget to visit the Pierogi Shop. Breakfast is served 7:00 – 11:30. Lullabot Podcast: DrupalCon Seattle Recap - Mike and Matt gather a random group of Drupalers in Seattle, drag them back to a hotel room, and record a podcast. ...I can see Heaven over there!" Hi! I'm Pookie. Welcome to my planet. My planet is full of things I love that might benefit you. Food, book, movie, music and travel posts usually have a "review" feel to them and contain helpful information.